The Mayweather-Pacquiao fight has long been rumored abut still hasn’t happened, but Mayweather Sr. sounded confident that the fight will take place. “That fight’s gonna happen. Trust me. That fight’s definitely gonna happen,” he emphasized to Fight Hype. But Mayweather Jr., also known as “Money,” says that his dad is mistaken. “Well my father is totally wrong,” he told Fight Hype on Thursday. 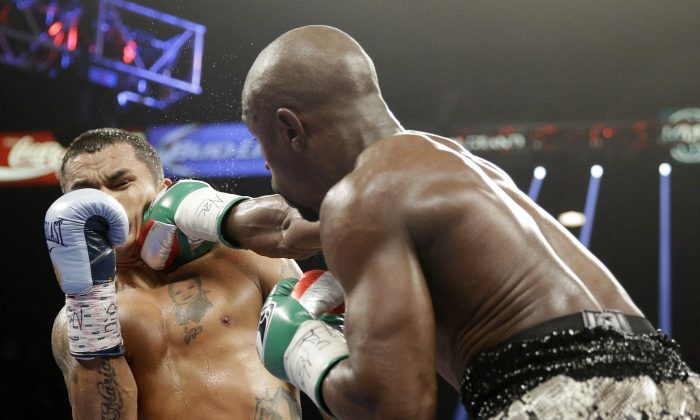 Floyd Mayweather Jr. throws a right to the face of Marcos Maidana during their WBC/WBA welterweight title fight at the MGM Grand Garden Arena on September 13, 2014 in Las Vegas, Nevada. Mayweather, who noted that Pacquiao hasn’t had a KO for a while, made it sound like he wants to fight Khan next as opposed to Pacquiao. “My Dad is desperate for me to take the Khan fight, he just wants me to shut the kid up and put him down,” Mayweather Jr. was quoted by the Daily Mail. “My Dad wants the fight, I want to put him on his backside, so hopefully we can make it happen,” he added. Khan has talked some trash recently to Mayweather, indicating that he believes he could take down Money. 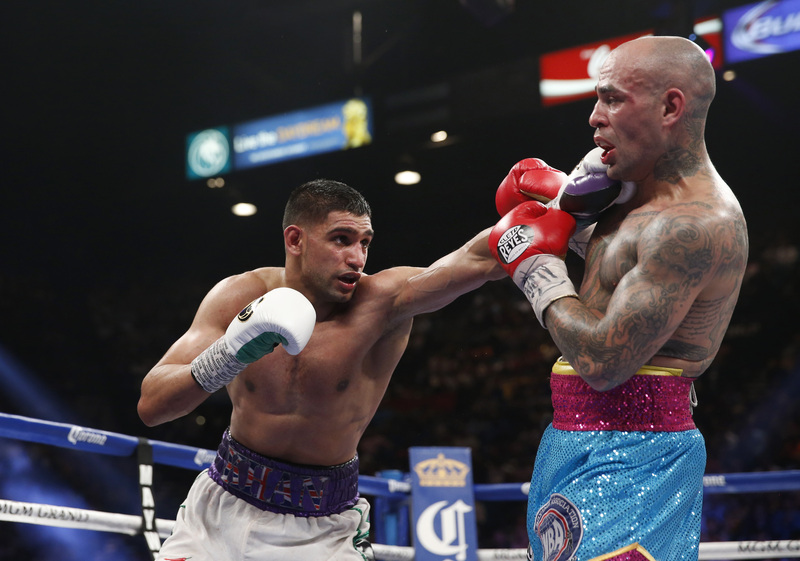 Khan was being considered for Floyd’s opponent in September but decided that the fight was too close to Ramadan, preventing him from fully training for it. “I’ve told Floyd that and he assures me I’m still on his list,” Khan said. Khan, 27, believes that his style would cause Mayweather, 37, “a lot of trouble,” reported BBC at the time. 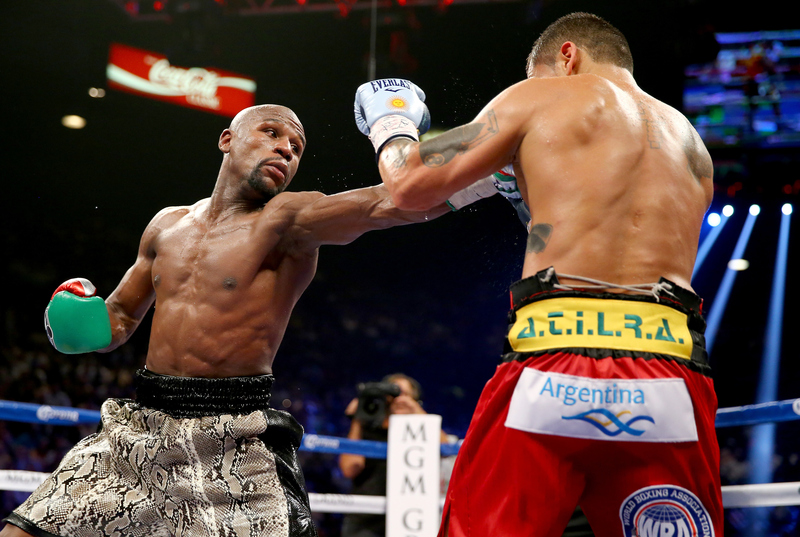 Mayweather’s two bouts in 2015 will likely be in May and September. Paulie Malignaggi, an Italian-American boxer, also believes that Mayweather would have a tough time with Khan. “Amir’s ability to fight at range makes him difficult to deal with. Styles make fights, you know, and Amir is a kind of guy who knows how to win rounds. Floyd is a kind of guy who knows how to win rounds. They’re both round-winning kind of fighters; they’re not search-and-destroy kind of fighters, you know, so that kind of style, head to head, is going to be two guys trying to win rounds,” he told Fight Hype.